1. The art easel coming out of hiding and joining the fun in the playroom. 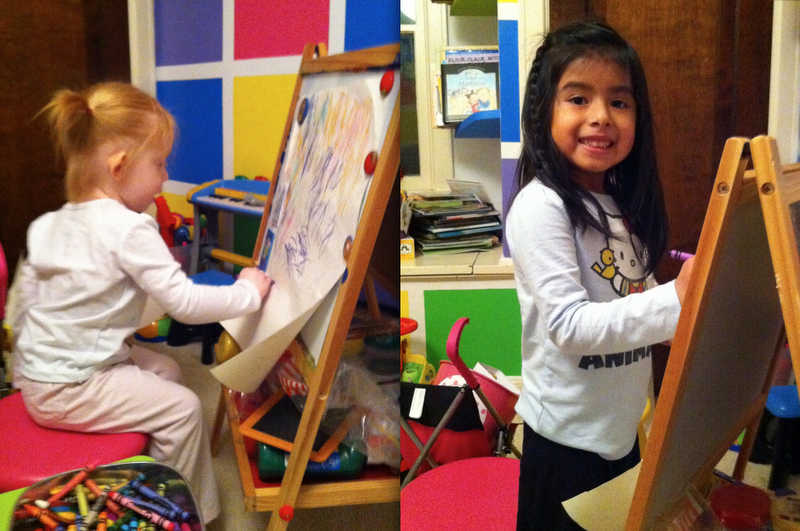 The girls have been busting out crayon masterpieces one after the other! 2. The catalogs have arrived and, just like Mom used to, the kids are choosing all kinds of awesome things from their pages. Jack has had a couple lessons on deciding if he truly likes something once he see the price, so that has been good too. 3. Date night with the big kids - They were deemed too germ-y to be around their cousins, so I took them out for dinner & we picked up a redbox. No offense to Miss Livie, but wow the night was easy without a 2-year-old in tow. 4. 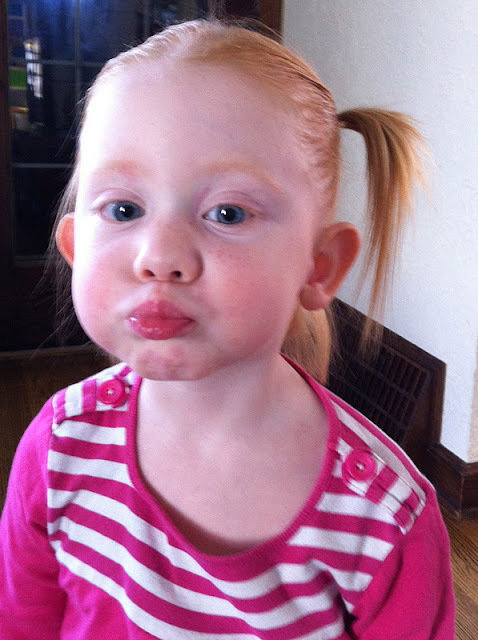 Fish face - Seriously, this girl cracks me up every day with the things she does and says. This is good because it balances out her ugly 2-year-old fits (yet another thing I've blocked out of my memory, like childbirth & potty-training). 5. A new notebook to start my Christmas gift list - Say Anything was full but then I remembered I had Sixteen Candles waiting in the wings. 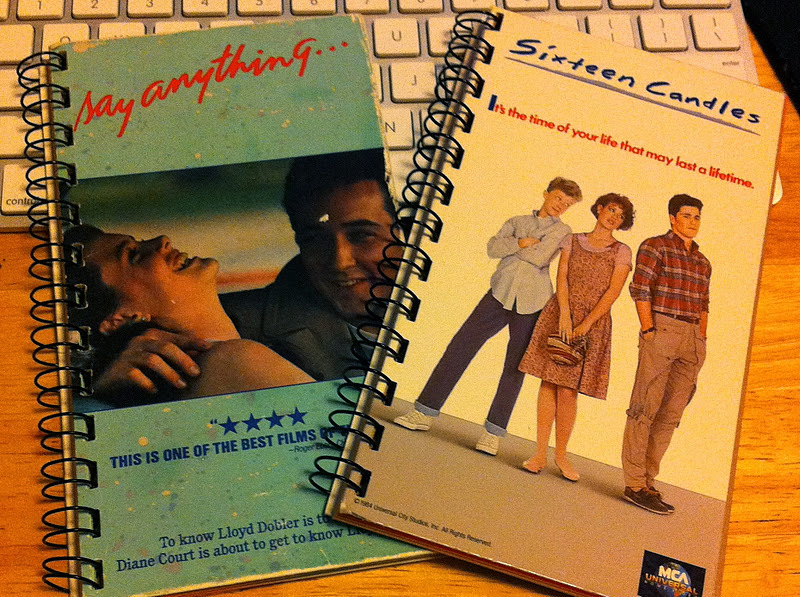 It's truly the little things in my world and VHS notebooks are a big one! 6. 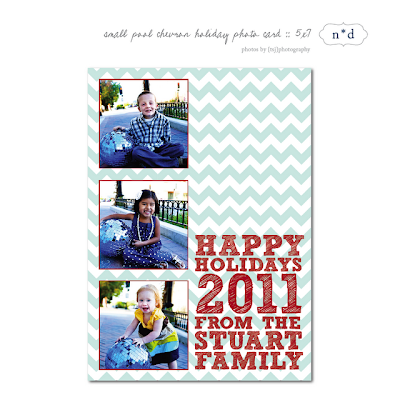 And speaking of the holidays, fun to see our pics from last year on this super cute card design from Nellie*Design. She has many more incredible designs right here if you need to start work on your holiday cards, and she is incredible to work with too! In fact, I'm also very thankful that she did a custom design for our cards this year...I can't wait to send them out! Linking up with Nora - see more reasons for thanks at Fav Foto Friday! So much to be grateful for- and such GREAT photos! 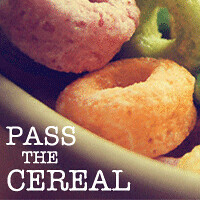 Awsome things to be thankful for,and beautiful pics! Many things to be thankful for! Love the pics! 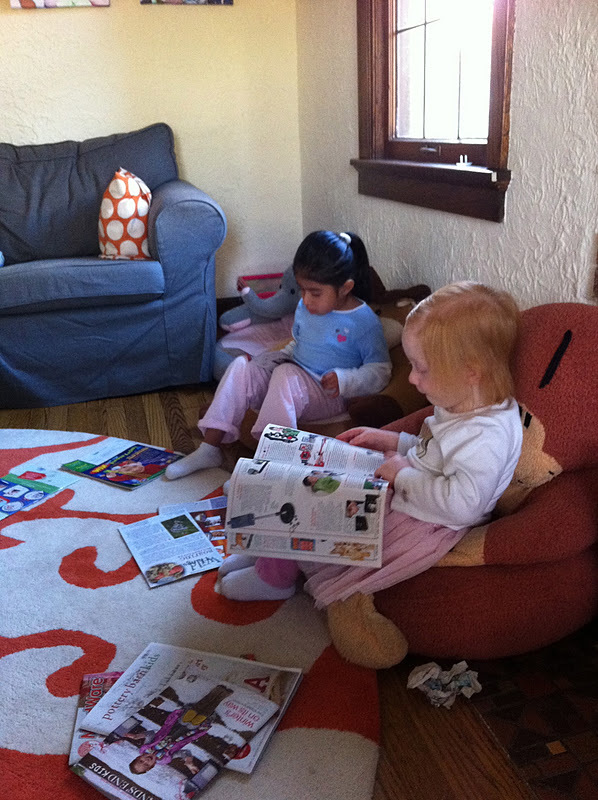 My girls pour over the American Girl catalogue just like that when it comes - and it always leads to an talk about gratefulness .